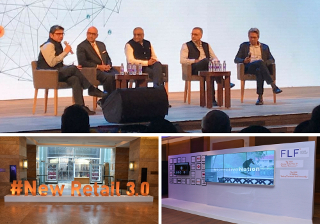 Earlier this week, Kishore Biyani set the cat among the pigeons by unveiling an audacious blueprint—Retail 3.0. 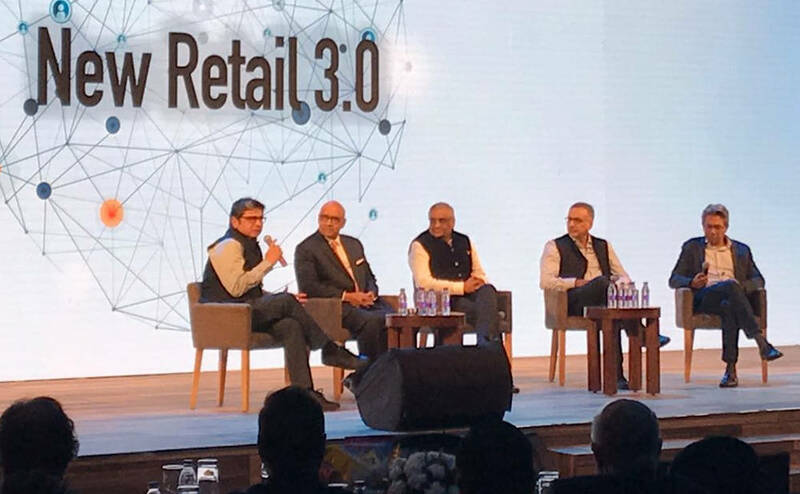 The Future Group czar's vision is to create 10,000 small stores by 2022 that would be turbocharged with technology—shopping assistants, ordering apps, in store sensors, digital coupons, voice activated ordering, self-check outs options, et al—to offer a seamless physical and virtual experience for the customer. In many ways, this is becoming the Holy Grail of retail. Alibaba has been experimenting with a model—it calls it New Retail—for the past 18 months at its Hema supermarket stores in China. Walmart’s blended commerce business is starting to rev up. Back home, Reliance Jio is getting ready to partner with its retail business in a similar fashion. German retailer Metro AG began experimenting in the early 2000s, by deploying all the emerging technologies at its model Metro Future Store, just outside Dusseldorf. (In 2004, I was part of a visiting delegation of global journalists that was taken to see what was then described as the future of shopping). This vision of a technology-enabled commerce is compelling. Not just because it makes the process of buying and selling more efficient. But because of a tiny instrument that dominates our lives: the smartphone. Retailers believe that the smartphone presents a perfect gateway to engage and offer exciting new shopping options for customers. 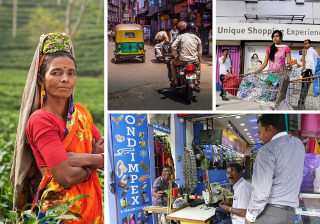 The moot point: will customers in India embrace this revolution? And more importantly, can old-style retailers dramatically transform themselves from within to serve customers in new, innovative ways? Like everything in life, it will likely be a mixed bag. None of these new digital shopping methods are rocket science for the tech-savvy new generation of consumers. The real challenge, though, will be for retailers to become more nimble and agile, and disrupt their own ways of working. And there’s one other critical issue: technology is, at best, an enabler. Too much of it can confuse, unnecessarily complicate lives and also become intrusive—something that most techies sometimes miss. So, just how much of technology should one choose to deploy, especially when customers are looking for simple conveniences while buying everyday groceries, is worth mulling over. That’s where a savvy retailer like Biyani may be able to extract value from the technology bundle. And be brutal about where technology ends, and the science and art of retail begins. Real-time data: Customer data was available with a time lag. And most retailers took decisions based on past data. Digital has now made it theoretically possible to collapse that decision-making and make it almost real-time. And in many ways, machine learning led. Algorithms are able to process large masses of data without human intervention. Significant investments are required to build real-time data management capabilities. And unless stronger use cases emerge, it is sometimes easy to be seduced by hype. Powerful tech evangelists like Google and Facebook are big believers in this new data-driven model. It is always prudent to partner with them. However, it is best to run some small-scale pilots, build prototypes and a strong business case, before taking the plunge. Democratisation of data: Today’s digital technologies allow one to strip away management layers and carry the signals from the customer directly to key decision makers within the firm, without old style management information system (MIS) folks getting in the way. It is a fundamental disruption. And it needs both loads of data scientists who can make sense of the data, identify patterns and also line managers who are trained to act quickly based on what they see. For years, telecom executives have had access to rich data. And even after long conversations about personalised bundles for segments of customers, very little progress has been made. Moving from a data-rich culture to a data-driven one will clearly take some effort. Digital champions: Expecting everyone, especially those in their 40s and 50s, to change with the times is hard. But there’s a need to prevent them from becoming obstacles in the change process. That’s why the Future Group has injected a few lightning rods in areas such as social media and in technology and data sciences. These champions have been given the freedom to form teams, hire relevant talent and find partners from outside along with a bunch of change ready insiders. The change, especially in the way it manages social media like Twitter, has been palpable. Demonstrable results then provide a good momentum for change, helping the large pool of sceptics from within to join the bandwagon. Digital natives: The average age of shoppers in India will continue to fall. And who is best placed to understand what a 21-year-old college kid, who is wedded to his smartphone, is looking for? Here too, the Future Group has understood this dynamic well and begun turning the corporate hierarchy on its head. Taking a leaf out of the concept of holacracy, it has built a cadre of young brand owners, hired fresh from campuses, and put them in charge. These young folks have a far better handle on the kind of merchandise and even social media engagement that will appeal to their cohort of singles. They have been taken along to trade fairs in China and elsewhere and their inputs have been sought while deciding the merchandise strategy. It has paid off. Group insiders say that it is now more than apparent that the consumption drive of this young ‘single’ consumer is quite different even from what today’s 30-year-olds seek. Resetting expectations: Tracking customer preferences and generating rich consumer profiles sometimes gives the impression that every customer need can be met. There is, however, a cost to serve. And retailers need to be careful of setting the right expectations so that customers get a consistent experience. In his new small store model, Biyani will be offering the home delivery option to 2,000 members in every store, within a two km radius—something that Indian consumers are bound to value. Enhancing the retail drama: In this new scheme of things, physical stores certainly aren’t passé, but their purpose needs to be redefined. Think of them as distinctive showrooms, where customers love to hang around, and are able to gain a heightened shopping experience, touching all five senses. Here too, smartphones are changing the way that shoppers can interact with the store. The roles of in-store executives are getting redefined. With artificial intelligence (AI) and machine learning in vogue, the purely mechanical and routine jobs inside the store will get automated, leaving store managers to focus on customer service and solution selling. There’s a huge upside in getting shoppers to come to a physical store. For instance, in a Big Bazaar store, the average items on a bill are likely to be 12-14, while in an online sale, it is seldom more than two on an average. That’s where technology is proving to be a smart way to get shoppers into the store. 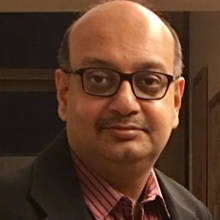 Reliance Retail is, for instance, designing an interface on the smartphone that will allow customers to pre-order their regular items even before they enter a store. A trolley stocked with their regular items will be kept ready for them, leaving them an opportunity to browse and enjoy the shopping experience—and pick up more items on the spur of the moment. That’s what they call retail therapy! The search for a new, yet sustainable Retail 3.0 model has begun. Indrajit, I loved your article about Retail 3.0. Also the earlier comments about how "change" is so difficult for organizations, really resonated with my personal experience in large corporations as also my learning's as an entrepreneur. I think a lot of strategy breaks down at the altar of "change-making ability". Marketers still don’t care, as much, about being relevant to you. You get that umpteenth credit card solicitation from the bank which has already sold you a card. And nothing about a physical retailer shopping experience makes it personal for you! And yet your online persona seems to be treated differently & when you go to Amazon & other sites you do get a feeling of getting offers being recommended for you. And as a consumer you flit between your online & offline avatars, this becomes more obvious. What have these “new age” companies done differently that has disrupted the legacy competitors? One of the key strengths that new age companies bring is their “data literacy”. While legacy companies are still at some level paying lip service to the whole concept of data based marketing. So is Retail 3.0 & more specifically Analytics just a fad & have we been oversold on it? Technology players have packaged analytics into each of their solutions at different levels of complexity. And they have created a lot of marketing noise around it. It almost seems like buying analytics software or some piece of digital platform will suddenly make the organization an Analytics champion. Maybe the issue is much more fundamental.Organisations have to rethink how they leverage analytics & actually change their company structures, incentives & processes to create meaningful & large business impact. The volume of data available to companies continues to double every year & new streams of data from the Internet of things is adding to the party. Clearly, most legacy companies still have a long way to go to truly extract value from analytics. Apart from a few digital natives such as Amazon, Facebook, Google, Netflix, and Uber most companies have struggled to realize anything more than average returns from their investments in big data, advanced analytics, and machine learning. But it is still early days. According to McKinsey, “About 90 percent of the digital data ever created in the world has been generated in just the past two years, only 1 percent of that data has been analyzed”. Time will tell but clearly, the legacy companies need to take notice of how data is now a core product & leveraging it can hugely boost company performance. In general, markets now value companies more than the sum of their tangible assets. 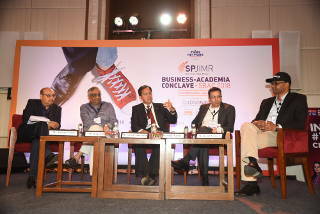 And so intangible customer data & how it is used by companies will be the key differentiator in the days to come. I am very keen to observe the Future group & watch how they make this transition.